I first found Alex Mailes with Martha his wife in the 1880 Federal Census for Clay County, Gallatin Township, Missouri. Alex was 36 years old and Martha was 34. The census shows the occupation of Alex as an RR Agent. I would assume that this is a Rail Road Agent. Gallatin Township is located in the most southwest corner of Clay County and is across the Missouri River from Kansas City. There is a railroad bridge crossing the Missouri River from Kansas City into Gallatin Township, Clay County. Because of his occupation and the fact that there were other Mailes living in Gallatin Township, I believe that Alex and Martha Mailes were very well know. On September 11, 1882, Alex and Martha Mailes purchased the North part of the W/2 SW/4 Section 17, Township 51N, Range 32W, Clay County, Mo. They sold this same property on April 17, 1883. They had purchased the N/2 NW/4 Section 20, Township 52, Range 34, Platte County Mo., on March 1, 1883. This is the property on which Louis Mailes lived until he was a young adult. The Miller school was located on the northwest corner of this property. I assume Louis went to school here. I have not been able to locate any school records that show Louis in the school. This information was taken from: Church Register and Record of Christian Church, Hickory Grove. The register was located at Plate County Historical Society, 222 Ferrel Street, Platte City, Mo. It is located in the basement of the Ben Ferral Platte County Museum, July 2003. A.H. Mails admitted by commination November 24, 1890. It also indicates that the name was removed by letter October 5, 1902. Mrs. Martha Mails admitted by Baptism November 21, 1890. Her name was also removed by letter October 5, 1902. Louis Mailes was admitted by Baptism November 25, 1895. His name was removed by letter October 5, 1902. They were removed from the records of the church when they moved to Newton County, Missouri. The following information is based on records of land transactions. On August 4, 1902, Alexander H. Mailes purchased the east half, southeast quarter, Section 23, Township 24, Range 34, Newton County Missouri. On September 23, 1902, A.H. Mailes and wife sold the north half, northwest quarter, Section 20, Township 52, Range 32, Platte County, Missouri. On January 6, 1903, A.H. Mailes purchased the SE/4 NW/4 Section 23 Township 24 Range 34 Newton County, Missouri and the N/2 NW/4 Section 23 Township 24 Range 34 Newton County Missouri. . On May 7, 1904, Louis Mailes purchased the N/2 NE/4 NE?4 and E/2 S/2 NE/4 NE/4 Section 23 Township 24 Range 34, Newton County Missouri. Grainger - Some info listed at the bottom of Mailes. 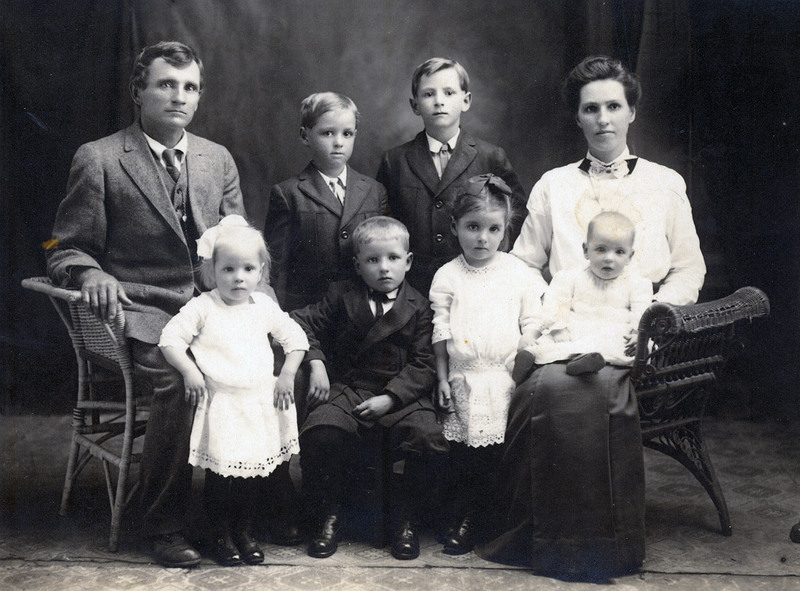 The Mailes family lived southeast of Platte City, Mo and were very active in the community. It seems in those days the news papers had reporters who lived in the local community and reported on the activities of the families in the area. Some of the activities were of a day to day nature and they provide us with an insight into the life of our ancestors. See the detail entries from the paper at the end of this page. The entry on May 6, 1901 is specifically interesting. It may be the reason the Mailes family moved to Seneca, Newton County. Louis Mailes was nearly 30 years old when he was married to Miss Cora Alma Grainger. Miss Grainger a 20 year old young lady of the community had moved there in November of 1884, when she was 7 months old. Her parents lived about 1/2 mile from the farm the Mailes purchased when they first moved to this area. 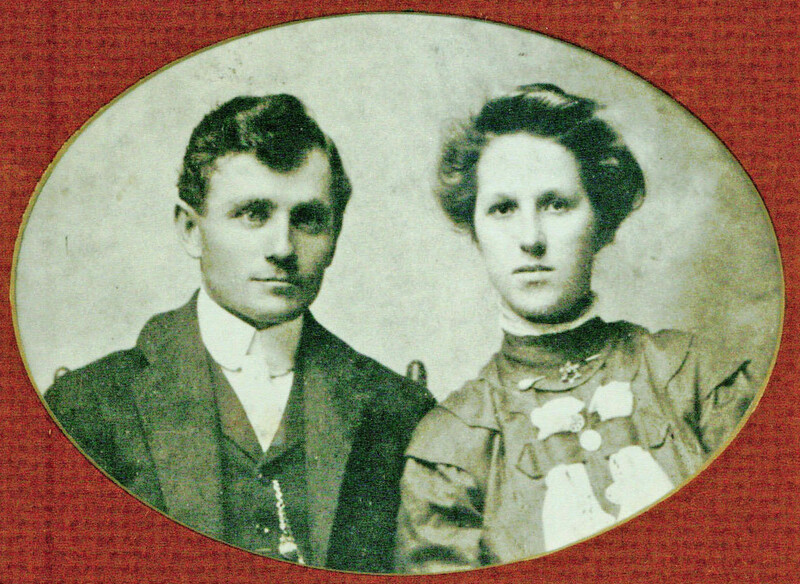 Louis and Cora then bought a farm on the northeast section of the same area where his parents had settled, and just one half mile south from her parents, Mr. and Mrs. Isaac Lewis Grainger. Louis and Cora had 12 children, 7 boys and 5 girls. 1. Louis Mailes b. Feb 4, 1874 in Austria-Hungary; d. Jul 23, 1955 in Seneca, Mo. +Cora Alma Grainger b. Apr 11, 1884 in Warrensburg, Mo; m. Jan 17, 1904 in Seneca Mo; d. July 23, 1979 in Neosho, Mo. 2. Lester Lee Mailes b. Oct 13, 1904 in Seneca, Missouri; d. Jun 30, 1976 in Seneca Mo. +Mildred Inez Rinehart; b 7 Feb 1911 in Seneca, Newton County, MO: d 1 Dec 1998 in Seneca, Newton County, MO. 2. Lloyd Alexander Mailes b. Sept 6, 1906 in Seneca, Mo; d. Nov 9, 1984 in Seneca, Mo. +Opal Louise Skaggs; b 2 Jan 1911. 3. Virgina Lee Mailes b. Jul 26, 1930 in Seneca, Mo. ; d. Nov 23, 2015 Mercy Hospital, Joplin, Mo. 3. Harold Dean Mailes b. Jul 12, 1932 in Seneca, Mo. ; d. Jun 24, 2014 in Neosho, Mo. 2. Lawrence Russell Mailes b. Oct 7, 1908 in Seneca, Mo; d. Feb 4, 2000 in Seneca House Nursing Home, Seneca, Mo. +Opal Nadine Macy; b 31 Mar 1914 in Neosho, Newton County, MO: d 6 Jan 1974 in Seneca, Newton County, Mo. 3. Melvin Roy Mailes b. Dec 22, 1934 in Neosho, Mo. d. May 25, 2000 in Joplin, Mo. 3. James Dale Mailes b. Sep 28, 1936 in Glendora, Ca. d. Sep 17, 2013 in Joplin, Mo. 2. Laveta Ann Mailes b. Dec 7, 1910 in Seneca, Mo; d. Nov 6, 2000 in Seneca House Nursing Home, Seneca, Mo. +Earnest Paul Higginbotham; b abt 1910: d 17 Oct 1962 in Seneca, Newton County, MO. 2. Martha Lucille Mailes b. Mar 3, 1912 in Seneca, Mo; d. Feb 23, 1998 in Seneca, Mo. 2. Letha Jane Mailes b. Mar 10, 1914 in Seneca, Mo; d. Nov 5, 2013 Maples Health Center, Springfield, Mo. 2. Lorena May Mailes b. Mar 12, 1915 in Seneca, Mo; d. Nov 14, 2004 in Miami, Ok.
+Robert Lee Hoover; b 13 Apr 1914 in Neosho, Newton County, MO: 5 Jul 1986 in Miami, OK.
2. Leora Alma Mailes b. Aug 12, 1917 in Seneca, Mo; d. Jan 15, 2000 in Seneca Nursing House, Seneca, Mo. +Harry N. Montgomery; b 12 Jan 1912 in Seneca, Newton County, MO: d 10 Oct 1999 in Springdale, AR. 2. Lyndall Orville Mailes b. Aug 11, 1919 in Seneca, Mo; d. Jun 23, 1999 in Miami, Ok.
2. Lilburn Francis Mailes b. May 3, 1922 in Seneca, Mo; d. 1996 in Seneca, Mo. 2. Leonard Mailes b. Jan 12, 1924; d. February 21, 2009 in Seneca, Mo. 2. Loren Grainger Mailes b. June 21, 1926 in Seneca, Mo; d. Aug 6, 2012 at his home in Cave Junction, OR. The information was obtained from the Platte County Argus newspaper. The earliest information that I could find was January 6, 1898 and was located at the Missouri Historical Society in Colombia Missouri. The information was in a section of the paper called AFrom Our Correspondents@. The information on the Mailes family was from Hickory Grove. There was a date on the article which was usually 2 days before the actual date on the paper. I have recorded the dates of the articles just for reference. I do have the dates of the papers from which the information was take. August 8, 1898 A.H. Mailes made a business trip to Platte City Friday. August 15 James Jacks and Louis Mailes made a business trip to Levenworth Saturday. August 20 Louis Mailes is through plowing. September 12 A.H. Mailes and wife spent a few days last week with relatives in St Joseph. September 20 Mr. Con Jacks sold three calves to A.H. Mailes Monday for $54. some better at this writing. Luther Mitchell, wife and two daughters of Minnaville, Cisy Co., spent a few days visiting A.H. Mailes last week. Brightwell spent Sunday with C.J. Jacks and family. September 27 L. Mailes is sick with a very bad cold. October 3 A.H. Mailes is on the sick list. James Jacks, sold thirteen fine hogs to Cole, Duncan and Co., Friday that averaged almost 211 pounds and A.H. Mailes sold five that averaged 271. They received $3.40. October 10 A.H. Mailes and wife visited relatives at Minnaville the first of the week. C.J. Jacks and son Harry returned from Omaha Friday and Louis Mailes arrived Saturday. All reported a good time. April 17 A fine game of croquet was played at A.H.
tie. All are considered good players. May 8 A.H. Mailes sold some fine pigs to S.H. Johnson Saturday. May 22 A.H. Mailes, who has been quite sick, is slowly recovering. Miss Myrtle Ratliff of New Market, who has been visiting at A.H. Mailes, returning home today. June 12 Mr. and Mrs. Ham Mailes were guest of John Wallace and met on Sunday. July 17 Louis Mailes left today for Blackwell Ok, where he will stay a few days prospecting. August 28 Louis Mailes visited W.A. Ratliff in New Market last Saturday and Sunday. That reliable feather renovator is still doing good work in Platte County. September 11 The rains of Thursday and Saturday nights did much good. Mr. and Mrs. Ham Mailes are visiting the family of W.B. Moreland at Blackwell Ok.
October 2 Louis Mailes is on the grant list. October 16 It is very dry and dusty. A.H. Mailes attended meeting at Farley Sunday. A.H. Mailes sold four head of steers to Joseph Clark Wednesday for $37.50 a head. guest of Mrs. Mailes Thursday. October 30 Corn gathering is in progress here. Howard Fox, Willie Darnall, Newton Winn and Bert Smith were the guest of Louis Mailes Sunday. November 7 Progress Mill is busy sawing. Louis Mailes finished gathering corn Monday. November 13 A.H. and Louis Mailes sold 20 hogs to Sanders McComas Friday for $3.65. November 28 Tidden Smith is sawing wood for A.H. Mailes. Mr. and Mrs Mailes Sunday. December 4 D.R. Denion and wife, granddaughter and Elder Baumer dined at A.H. Mailes yesterday. January 1, 1900 Skating is all the go. Miss Myrtle Ratliff entertained friends at Mrs.
Ratliff at Mrs. A. H. Mailes. About four parties filled their ice house from Dock Brightwells pond; 120 loads in all. January 15 A.H. and Louis Mailes sold a nice bunch of hogs to Sanders McComas Friday receiving $4.10 a hundred. One of them weighed 560 pounds. February 12 Miss Ninnie and William Thomason were guest of Mr. and Mrs. Mailes Sunday. March 26 Louis Mailes killed the first snake of the season March 22. June 12 Wheat harvest is in progress. Mr. and Mrs. G.M. Thomason visited Mr and Mrs.
July 3 Hay harvest is about over. July 16 Threshing is almost over. July 23 The road workers are putting our roads in good shape. August 7 Miss Myrtle Ratliff of Wallace is spending a few days with A.H. Mailes and family. Misses Mattie Witt Myrtle Ratliff, Grace Wilder, Mrs Anna Miller, and Messrs. E.G. Throckmorton, Robert Wilder, Louis Mailes, and James and Harry Jacks were guest of Miss Minnie and William Thomason Sunday. August 14 Miss Myrtle Ratliff returned home to Wallace Saturday. 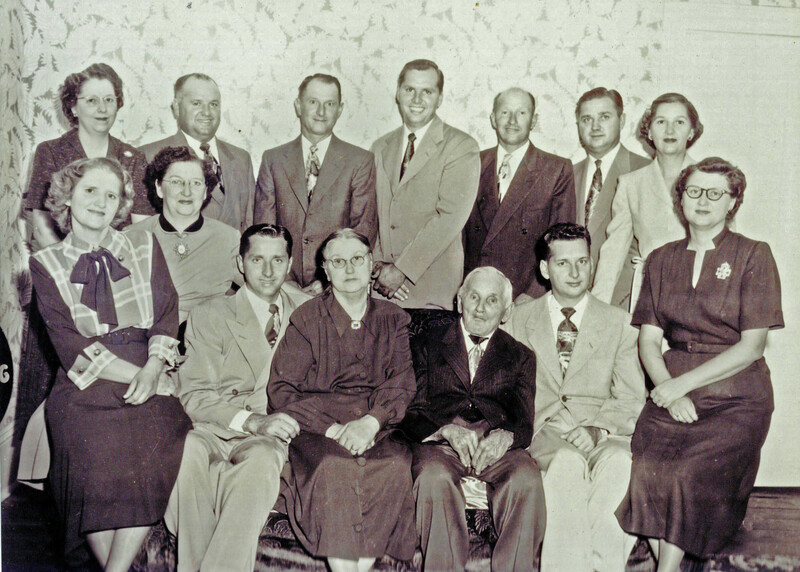 August 20 George Ferrel and wife gave a social in hornor of Miss Birdie Kisainger of Winchester, Kan. Friday evening. The guest were served with ice cream, cake, watermelons, grapes and other delicious refreshments. Those present were Misses Mattie Fox, Mina Darnall, Ninnie Ferrel, Maude Payne, Opha Brightwell and Dollie Todd. Messrs. James and Harry Jacks, Willie Darnall, Howard Fox, Ben Ferrel, Decator Hodges, Samuel Brightwell, Louis Mailes, and Joe Offatt. All enjoyed the games and music greatly and at a late hour departed with the best wishes to their host and hostess. August 28 Mr. and Mrs Mailes visited Mrs. D.R. Denton who is very sick. Mrs. Mattie Mitchell and children, after spending a few days with Mr. and Mrs. Mailes, returned to Buchaman County, Saturday. A severe storm passed through the locality Thursday night. It destroyed several small buildings and tore several flues down, but no one was hurt. October 8 Farmers are almost through sowing wheat. Louis Mailes is gathering corn. Some of the boys gave Dr. Ferrel and wife a warm welcome Saturday night at George Ferrel=s with circular saws, guns and chin music which lasted about an hour. Miss Mattie Fox entertained the following company Sunday evening. Misses Myra Hon and Ninnie Thomason, William Thomason, William Hon and Louis Mailes. October 15 Ben Morrow of Linkville, Ed Crow and Louis Mailes dined with Con Jacks and family last Sunday. November 5 Louis Mailes is plowing for corn. Mr. and Mrs. Mailes were in Platte City Friday. December 3 Sam Brightwell killed hogs Friday. The weather was fine the past week and farmers gathered corn all week. Louis Mailes was in Platte City today. Mr. and Mrs A.H. Mailes spent a few days last week with W.A. Ratliff of Wallace. December 10 A.H. Mailes killed hogs the 6th. A.H. Mailes and wife were in Platte City Wed.
December 17 Louis Mailes was in Platte City today. Louis Mailes spent Christmas with Mr. and Mrs. W.A. Ratliff and also Mr. and Mrs J.F. Wise of Wallace. in Platte City one day last week. January 14 Mrs. A.H. Mailes and Miss Myrtle Ratliff visited at John Fors Wednesday. April 15 A.H. and Louis Mailes were in Platte City today. April 18, 1901 Proceedings of the Platte County Circuit Court, April Term A.D. 1901. Louis Mailes, a native of Austria admitted to citizenship of United States, oath of allegiance in open court. May 6 Prof. D.T. Hodges dined with A.H. Mailes and family. City or you will be run down. June 3 Miss Myrtle Ratliff, one of Wallace=s charming young ladies, is spending this week with Mr. and Mrs. A.H. Mailes. July 8 Miss Fannie Jones and Fred Koker were guest at A.H. Mailes Saturday. July 8 Miss Ninnie Thompason spent Sunday with Miss Myrtle Ratliff at A.H. Mailes. Mr. and Mrs. William Maddux of Tracy and J.L. Wallis of Hampton were guest of A.H. Mailes and family Saturday. April 23 A.H. Mailes is on the sick list. May 18 Mr. and Mrs A.H. Mailes were guest of Mr. and Mrs. Dave Denton yesterday. 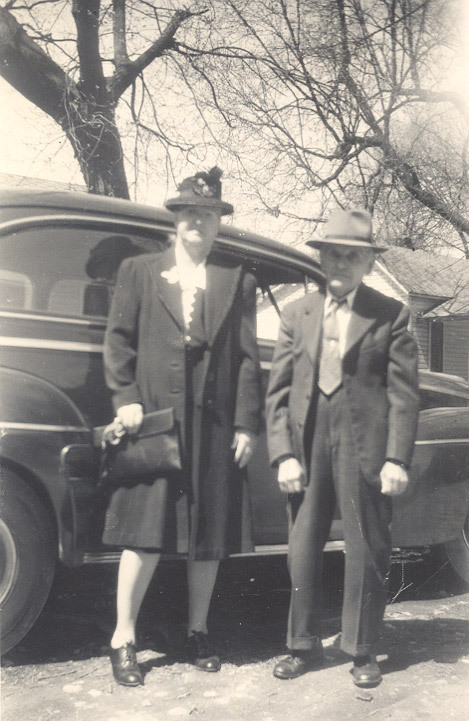 June 19 Mr. and Mrs. Mailes made a business trip to Platte City Thursday. August 7 Mrs. And Mrs Mailes went to Seneca, Newton County, last week. They are visiting E.W. Winn and family. August 25 Louis Mailes sold a good horse to R.O.Larkin Friday. September 5 A.H. Mailes sold a fine rick of hay to Tom Moore and James Morris yesterday. September 8 Miss William Moore of Plattsburg is spending this week with her uncle and aunt, Mr. and Mrs A.H. Mailes. September 29 A.H. Mailes sold four fine steers to Jesse and Lee Johnson last week. A.H. and Louis Mailes sold 16 fine hogs to E.
The following information was not in the newspapers. It is based on records of land transactions. 2-Benjamin Grainger I b. abt. 1703, Raleigh Parish, Amelia Va. D. Jan 21, 1763, Chesterfield, Va.
3-Aaron Grainger b. Amelia Va.
3-Moses Grainger b. Amelia Va.
+Sally Shipp m. Jan 4, 1710, Brunswick Va.
3-John Grainger b. Jul 10, 1726, Bristol Parish, Prince George, Va.
3-Joseph Grainger II b. Feb 10, 1727, Bristol Parish, Prince George, Va.
3-Benjamin Grainger II b. Feb 21, 1730, Bristol Parish, Prince George, Va.
4-Benjamin Grainger III b. Sep 7, 1758, St. James Parish, Goochland, Va., d. abt. 1794, Rockingham, N. C.
5-Benjamin Grainger IV b. abt. 1777, Va. D. 1840 Johnson County, Mo. +Gilly C. Groves b. abt. 1788, m. Aug 11, 1806, Sumner County, Tn., d. July 15, 1853, Warrensburg, Johnson County, Mo. 5-John Grainger b. abt. 1781, Va.
+Goldsberry Sanders m. July 2, 1803, Sumner County, Tn. 5-Thomas B. Grainger b. abt. 1785, Rowan County, N.C., d. bef. Feb 25, 1853, Johnson County, Mo. +Margaret Lilley b. abt. 1785, N.C., m. Mar 10, 1804, Sumner County, Tn. 6-John Grainger b. abt. 1806, Wilson, County, Tn. 7-Elizabeth Grainger b. abt. 1834, Tn. 7-Margaret Grainger b. abt. 1836, Tn. 7-John P. Grainger b. abt. 1844, Mo. 6-Mary Grainger b. abt. 1808, Wilson County, Tn. 6-Andrew B. Grainger b. Dec 15, 1812, Wilson County, Tn., d. Feb 9, 1894, Warrensburg, Johnson County, Mo. +Susan Eagan b. Sep 11, 1818, Tn., m. Sep 25, 1841, Lafayette County, Mo., d. Dec 27, 1893, Warrensburg, Johnson County, Mo. 7-William C. Grainger b. abt. 1844, Mo. +Lizzie J. Worth m. Jan 4, 1872, Johnson County, Mo. 7-Eliza J. Grainger b. abt. 1846, Mo. +W.C. Rogers m. Apr. 8, 1869, Johnson County, Mo. 7-Francis M. Grainger b. abt. 1847, Mo. +Rosettie Jackson m. Jun 18, 1876, Johnson County, Mo. 7-Sarah S. Grainger b. abt. Mar 1849, Mo. 7-Irwin L. Grainger b. abt. 1851, Mo. 7-Ortho E. Grainger b. abt. 1853, Mo. 7-James Grainger b. abt. 1855, Mo. 7- Isaac Lewis Grainger b. Aug 27, 1857, Warrensburg, Johnson County, Mo., d. May 23, 1942, Newton County, Mo. +Anna Jane Bryant b. Aug 18, 1857, Lexington, Lafayette, Mo., m. Mar 7, 1878, Johnson County, Mo., d. Jan 30, 1933, Seneca, Newton County, Mo. 8-John Andrew Grainger b. Aug 13, 1880, Mo., d. Apr 25, 1953, Seneca, Newton County, Mo. 8-Edward Lee Grainger b. Nov 27, 1881, Mo., d. Jan 15, 1963, Seneca, Newton County, Mo. 8-Cora Alma Grainger b. Apr 11, 1884, Warrensburg, Johnson County, Mo., d. Jul 23, 1979, Neosho, Newton County, Mo. 8-Orville Lewis Grainger b. May 6, 1895, Newton County, Mo., d. Jul 2, 1967, Seneca, Newton County, Mo. 7-Rebecca Grainger b. abt. Sep 1859, Mo., d. Oct 10, 1899, Warrensburg, Johnson County, Mo. +William Ross b. abt. 1845, d. Feb 25, 1909, Warrensburg, Johnson County, Mo. 6-Margaret Grainger b. abt. 1816, Wilson County, Tn. +James Cochran m. Mar 15, 1837, Sumner County, Tn. +Elizabeth Moore b. Orange County, N.C., m. Simpson County, KY.
6-Margaret H. Grainger b. abt. 1822, Wilson County, Tn. 6-Delila Grainger b. abt. 1823, Wilson County, Tn. +William B. Hobson b. abt. 1815, Wilson County, Tn., m. Nov 3, 1842, Johnson County, Mo. 6-Thomas Grainger b. abt. 1824, Wilson County, Tn. 6-Lavina Grainger b. abt. 1816, Tn. +John Campbell b. abt. 1804, N.C. m. Mar 24, 1842, Lafayette County, Mo. +Martin Adams m. Jul 15, 1841, Lafayette County, Mo. 5-Rebecca Grainger b. abt. 1786, Rockingham, N.C.
3-Frances Grainger b. Feb 9, 1731, Bristol Parish, Prince George, Va.